The U.S. Department of Justice (DOJ) is the nation’s top law enforcement agency. Its mission includes enforcing the law, ensuring public safety, providing leadership in preventing and controlling crime, and ensuring the fair and impartial administration of justice. Of DOJ’s many offices and divisions, several offer programs and resources of interest to runaway and homeless youth service providers. These include the Office of Juvenile Justice and Delinquency Prevention, the Office for Victims of Crime, the Office on Violence Against Women, and the National Criminal Justice Reference Service. DOJ is part of the U.S. Interagency Council on Homelessness, an independent federal agency within the U.S. executive branch that leads 19 federal member agencies in implementing the federal strategic plan to prevent and alleviate homelessness. Changing Minds National Public Awareness Campaign. This national public awareness campaign, launched in October 2016, seeks to raise awareness, teach skills, and inspire public action to address children’s exposure to violence and trauma. A Changing Minds National Public Awareness Campaign fact sheet offers findings from the research and more information. The campaign’s website, ChangingMindsNOW.org, includes videos depicting the stories of adults who, as children, were exposed to violence in their homes and neighborhoods; five everyday gestures that adults can use to make a difference in a child’s life; an informational video that explores the impact of violence on children’s brain development; and a toolkit for schools, communities, and practitioners in various fields. National Survey of Children’s Exposure to Violence Publications Series, a collection of materials about the comprehensive survey of more than 4,500 children or their parents or adult caregivers regarding their past-year and lifetime exposure to violence conducted in 2008. A regularly updated Model Programs Guide (MPG) containing information about evidence-based juvenile justice and youth prevention, intervention, and reentry programs. The MPG is a resource for practitioners and communities about what works, what is promising, and what does not work in juvenile justice, delinquency prevention, and child protection and safety. Tribal Youth Programs and Services that help tribal communities prevent victimization and juvenile delinquency, reduce violent crime, and improve tribal juvenile justice systems. Related resources include the 2014 report of the Attorney General’s Advisory Committee on American Indian/Alaska Native Children Exposed to Violence: Ending Violence so Children Can Thrive and the Tribal Youth Training and Technical Assistance Center. JUVJUST, a listserv that provides information on juvenile justice and other youth service-related publications, funding opportunities, and events. OJJDP News@aGlance, an award-winning bimonthly electronic newsletter that highlights agency activities, publications, funding opportunities, and upcoming events. Assistance for Victims in Tribal Communities. OVC provides funding to strengthen collaborations between tribal governments and state and federal agencies and to improve services in American Indian and Alaska Native (AI/AN) communities. The poverty, isolation, lack of services for victims, and high crime rates in many AI/AN communities make this underserved population a high priority for victim services. OVC is committed to enhancing efforts that serve victims directly and to providing training and technical assistance for service providers that is culturally relevant and, therefore, more effective. OVC provides funding to strengthen collaborations between tribal governments and state and federal agencies to improve services in AI/AN communities. For example, funds from the Tribal Victim Assistance Grant Program are used to develop culturally appropriate training curricula; encourage mentoring and information sharing; and otherwise improve victim services. OVC's Training and Technical Assistance Center (OVC TTAC). OVC TTAC provides training opportunities for providers and advocates at all levels of victim services. For example, an online training center offers innovative, downloadable curricula on topics that include skills for sexual assault advocates/counselors and ethics in victim services. The OVC Resource Center (OVCRC). As part of the National Criminal Justice Reference Service, OVCRC produces and disseminates information resources for victim service providers and other key audiences. In addition to providing access to documents, tools, curricula, multimedia products, and supporting materials via a website, OVCRC information specialists are on call to provide answers to questions using regional and national victimization statistics, research findings, and a network of victim advocates and organizations. Online Directory of Crime Victim Services. A database of nonemergency crime victim service agencies in the United States, searchable by location, type of victimization, service needed, and agency type. crimevictims.gov. This website is part of an integrated campaign to increase awareness about victims’ rights and educate the public about the impact of crime. It offers resources, including video PSAs, links to websites, publications, databases, and hotlines. The Office on Violence Against Women (OVW) administers financial and technical assistance to communities across the country that are developing programs, policies, and practices aimed at ending domestic violence, dating violence, sexual assault, and stalking. In 1994 Congress passed the Violence Against Women Act (VAWA) in recognition of the severity of crimes associated with domestic violence, sexual assault, and stalking. Created in 1995, OVW currently administers 25 grant programs authorized by the Violence Against Women Act of 1994 and subsequent legislation. OVW administers both formula-based and discretionary grant programs, established under VAWA and subsequent legislation. The four formula programs are STOP (Services, Training, Officers, Prosecutors), SASP (Sexual Assault Services Program), State Coalitions, and Tribal Coalitions. The discretionary programs work to support victims and hold perpetrators accountable through promoting a coordinated community response. Funding is awarded to local, state, and tribal governments, courts, nonprofit organizations, community-based organizations, secondary schools, institutions of higher education, and state and tribal coalitions. Grants are used to develop effective responses to violence against women through activities that include direct services, crisis intervention, transitional housing, and legal assistance to victims. The recipients of funding work with specific populations such as persons with disabilities, college students, teens, and culturally and linguistically specific populations. Several OVW resources may also be of interest to runaway and homeless youth-serving organizations, including a number that pertain to resources on protecting students from sexual assault, domestic violence, dating violence, and stalking. Some of these address efforts to prevent and eliminate peer-to-peer sexual harassment and sexual violence in K-12 school settings, but most relate to OVW’s Campus Program, which supports institutions of higher education in adopting comprehensive responses to sexual assault, domestic violence, dating violence, and stalking. This program offers grants to strengthen culturally relevant and survivor-centered approaches, provide on-campus victim services and advocacy, foster community involvement, and enhance security and investigation — activities that have been found to increase intervention by bystanders to stop or prevent sexual violence. Priority areas are projects that provide culturally specific prevention services and resources to underserved populations. Tri-Agency Letter Issued on Laws and Policies about Providing Services to Immigrants that clarifies for service providers that they should not turn away immigrant victims on the basis of their immigration status from certain services necessary for life or safety. Such services include emergency shelter, short-term housing, crisis counseling, and intervention programs. The letter is signed by the Attorney General, the Secretary of Health and Human Services, and the Secretary of Housing and Urban Development. Protocols, recommendations, and standards on medical forensic interviews for multidisciplinary agencies that coordinate with health care providers to facilitate medical care that addresses both the acute and long-term health needs faced by young victims of sexual assault. A summary of roundtable discussions from 2015 on the impact of incarceration and mandatory minimums on survivors: Impact of Incarceration and Mandatory Minimums on Survivors: Exploring the Impact of Criminalizing Policies on African American Women and Girls. 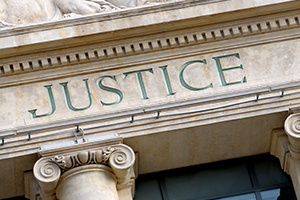 The National Criminal Justice Reference Service (NCJRS) is a federally funded resource offering criminal justice information to support research, policy, and program development. NCJRS services and resources are available to all, including policymakers, practitioners, researchers, educators, community leaders, and the general public. As such, NCJRS is a source for information, publications, and research that can support runaway and homeless youth-serving organizations, researchers, policy makers, and advocates. NCJRS maintains one of the largest criminal and juvenile justice databases in the world, the NCJRS Virtual Library and Abstracts Database. The collection, with holdings from the early 1970s to the present, contains more than 225,000 publications, reports, articles, and audiovisual products. These resources include statistics, research findings, program descriptions, congressional hearing transcripts, and training materials. The database is composed of titles, authors, sponsoring agencies, journal citations, as well as a 100- to 200-word abstract of each database item's content. The database is searchable or can be browsed using a topical index of more than 400 terms. Some of the materials described are available for download. A Questions and Answers section with the answers to hundreds of questions related to juvenile and criminal justice, victim assistance, substance abuse, and NCJRS services is organized by topic. Information specialists are available during business hours to provide additional assistance via toll-free phone or chat. Through registration with NCJRS, users can sign up to receive JUSTINFO, a biweekly electronic newsletter containing information about publications, events, funding and training opportunities, and Web-based resources. Registered users can also elect to receive emails and alerts on topics of interest, such as child protection, juvenile justice, and human trafficking.